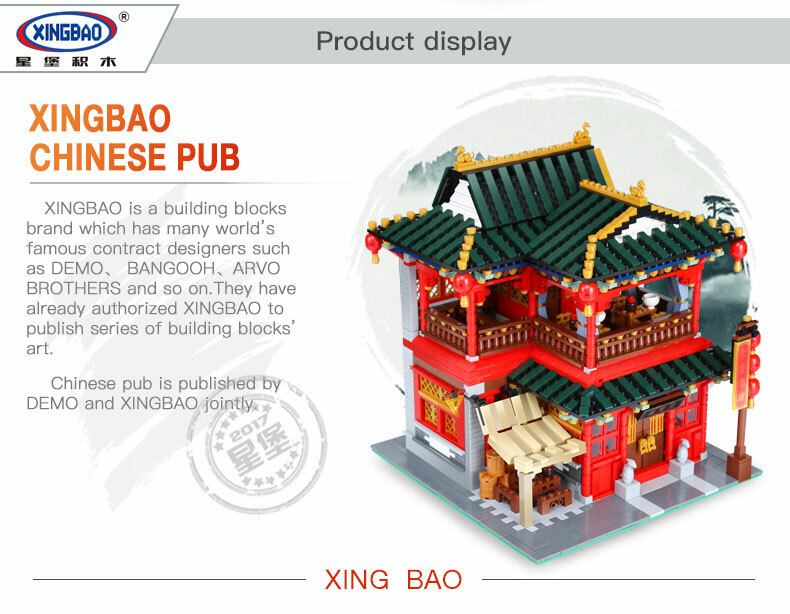 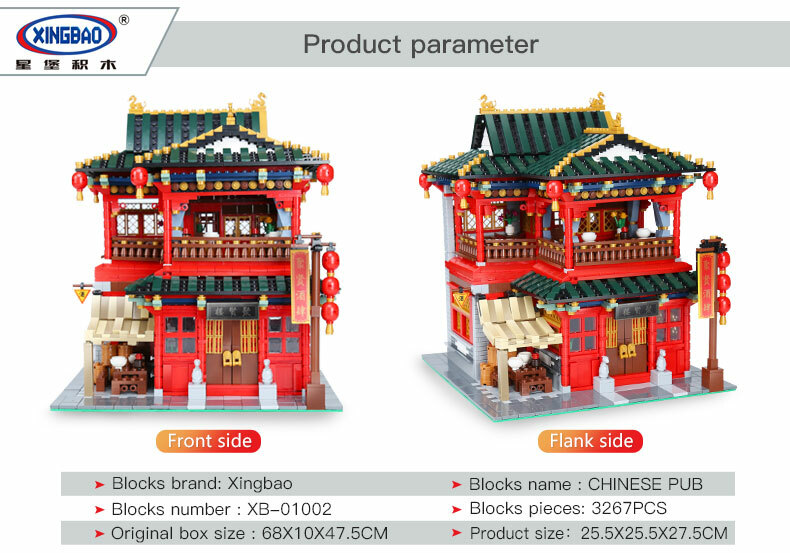 XINGBAO 01002 Chinese Pub is a MOC (My Own Creation) building blocks set which is 100% compatible with all major brands building bricks. 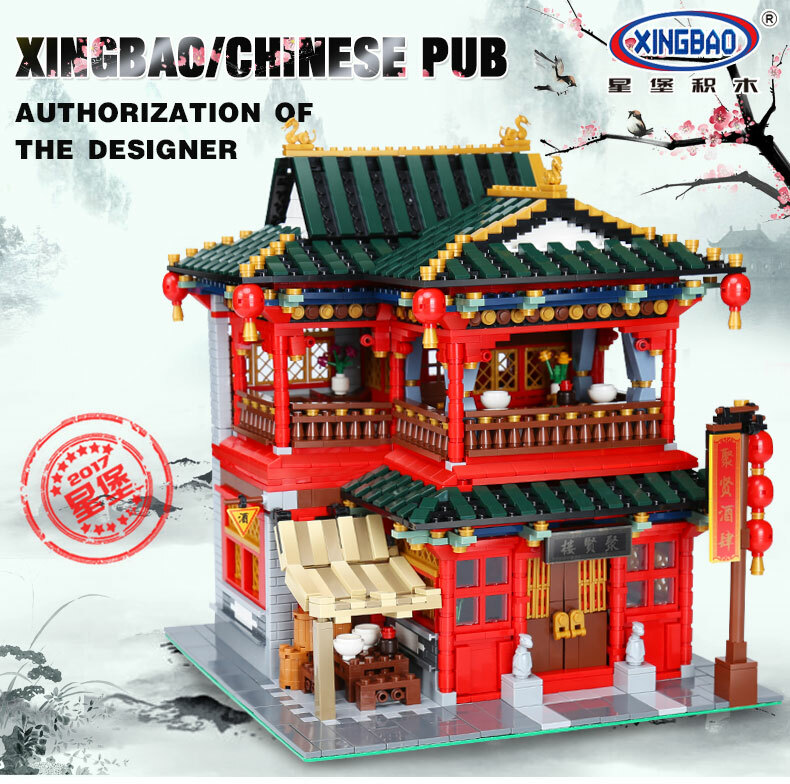 The Chinese Pub is a welcoming atmosphere, ready to entertain all who enter. 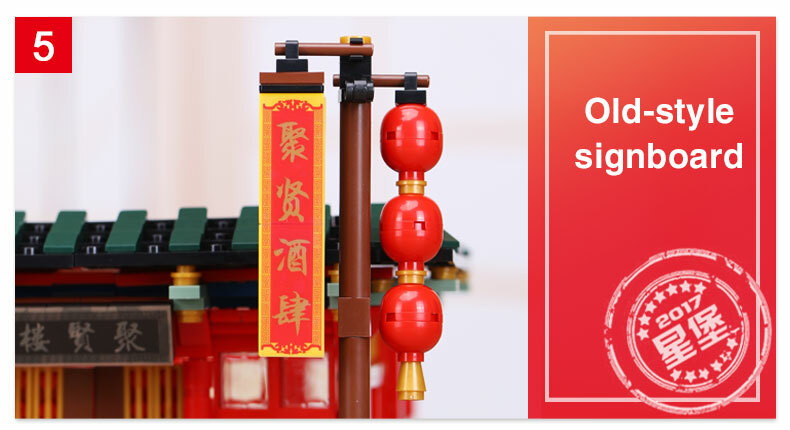 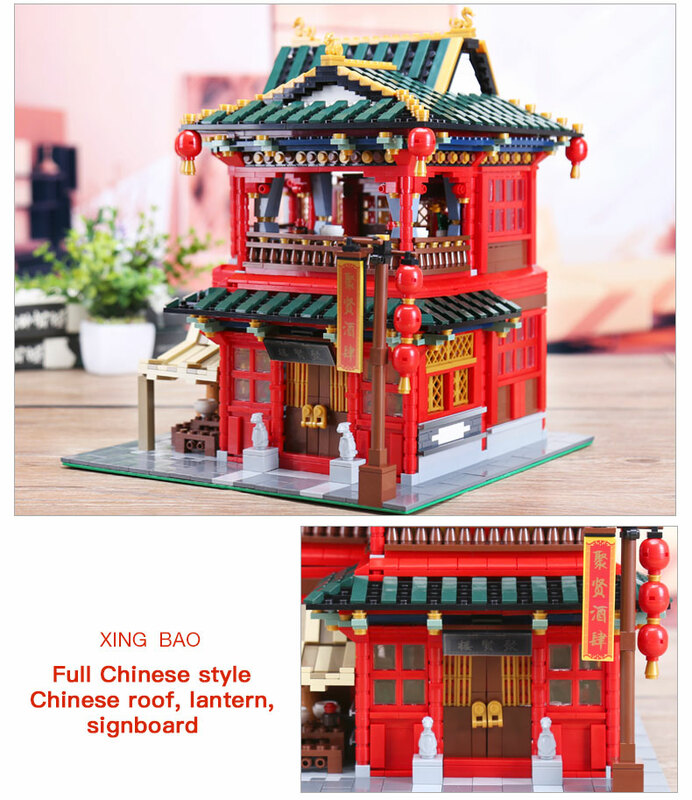 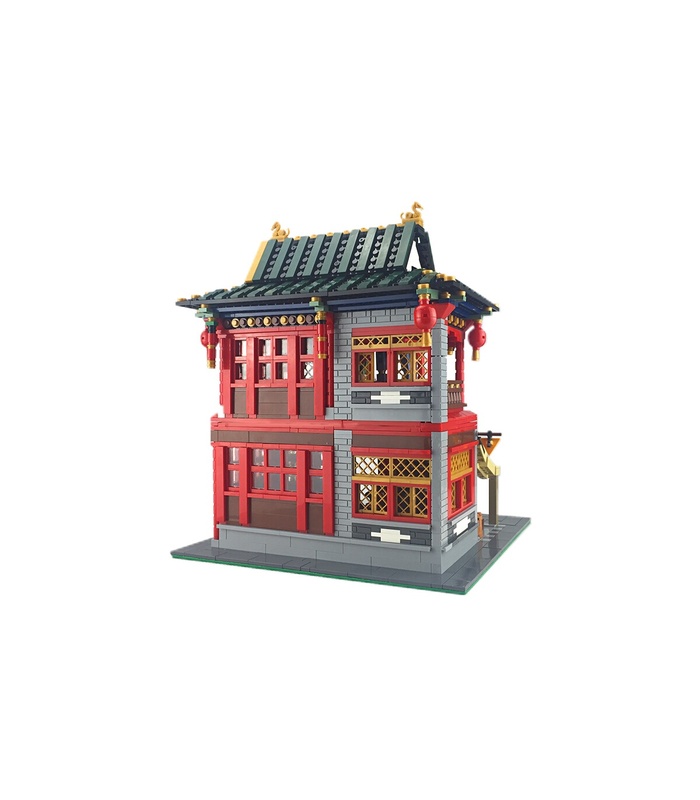 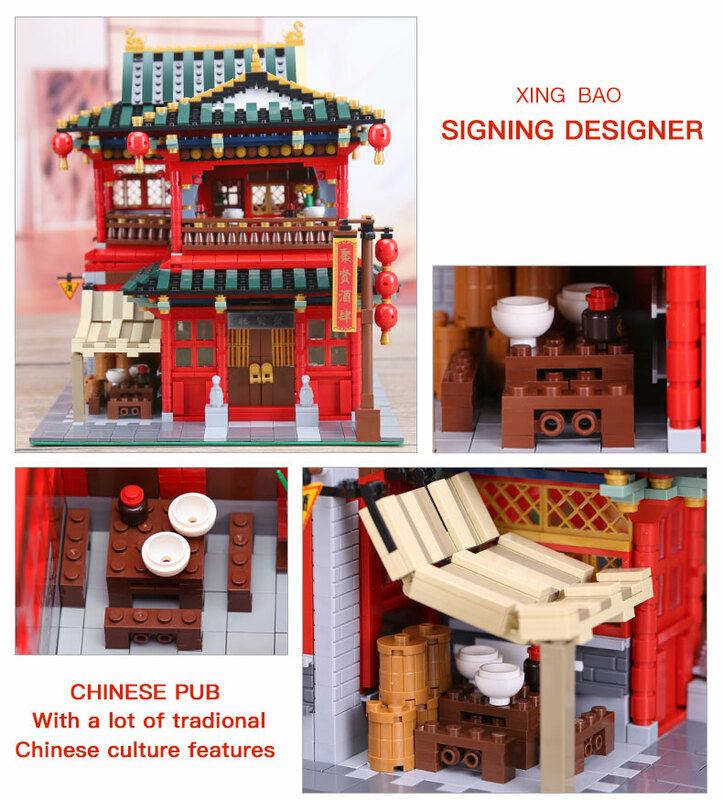 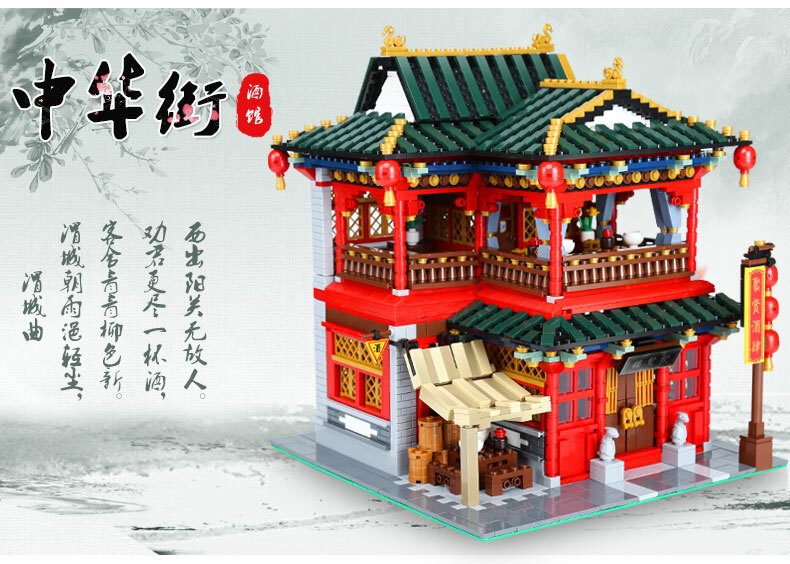 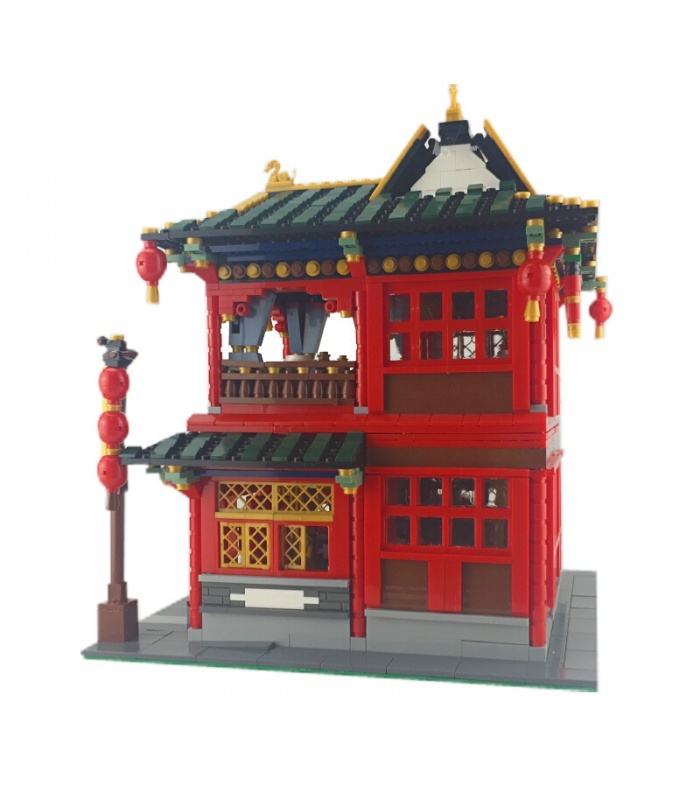 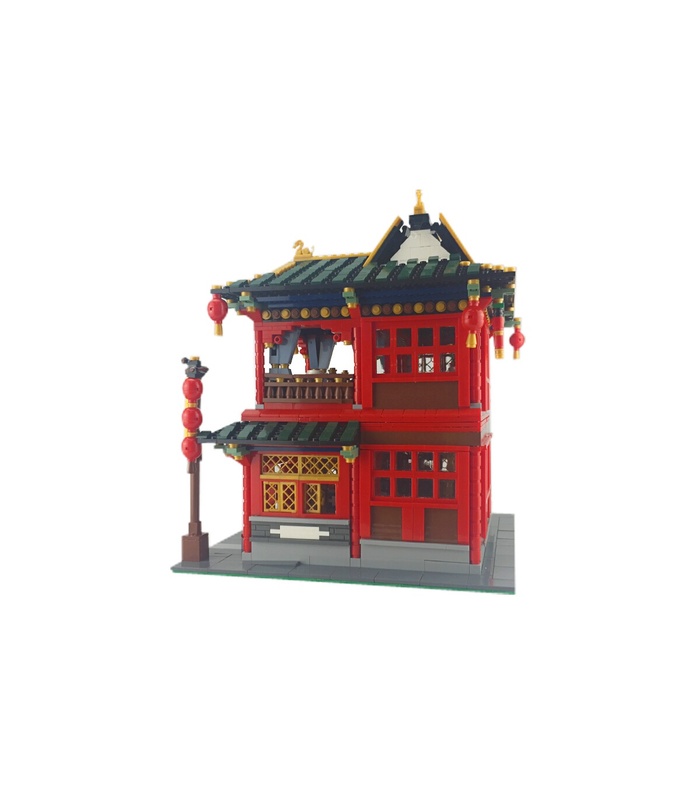 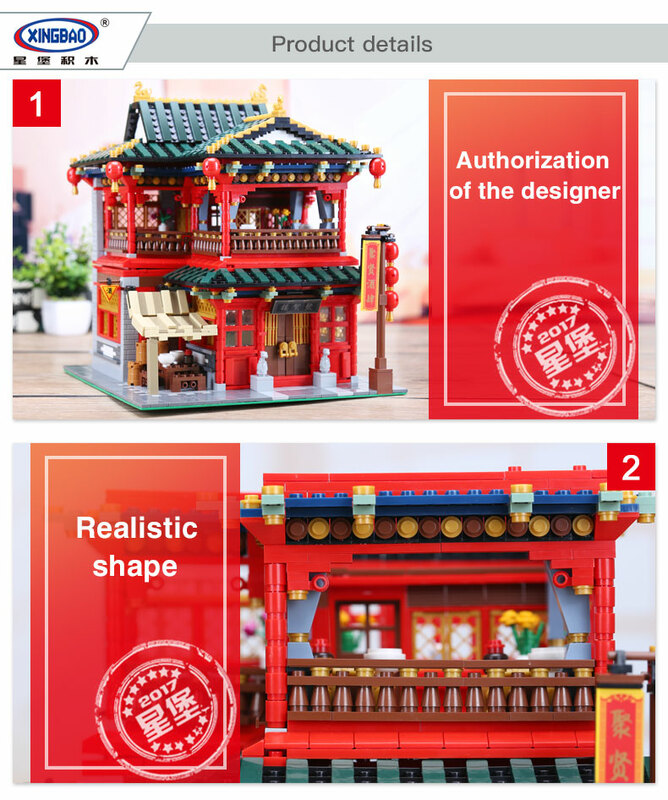 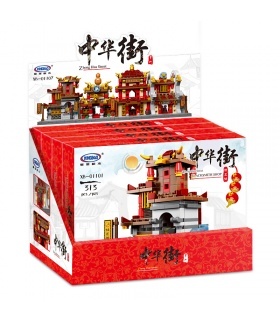 Full of brilliant details, this Chinese Pub is a great addition to the Zhong Hua Street series, and to your own brick town for play or display. 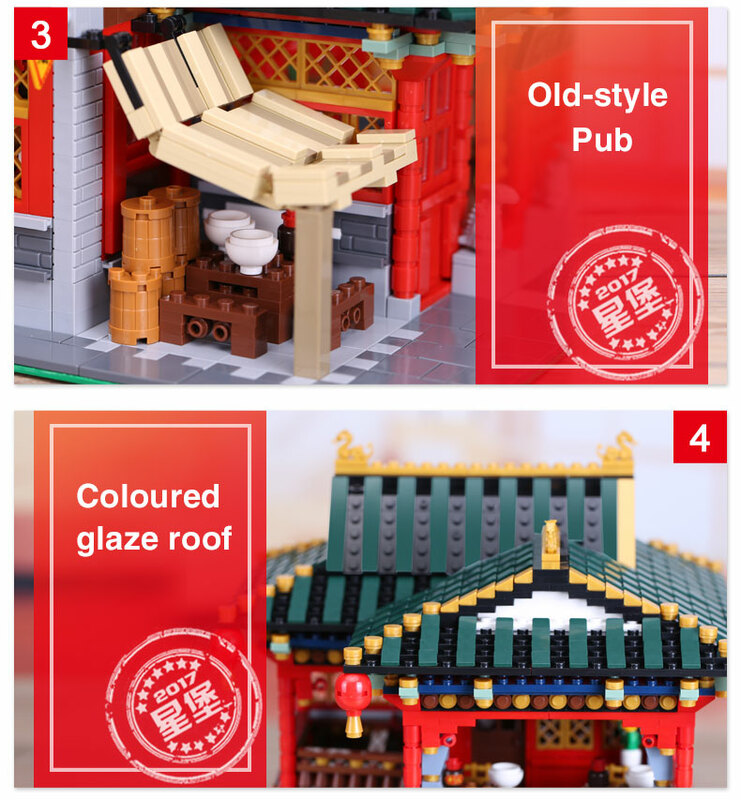 You'll be delighted by the furnished pub complete with miniature bowls of rice and printed wine vats for all your patrons. 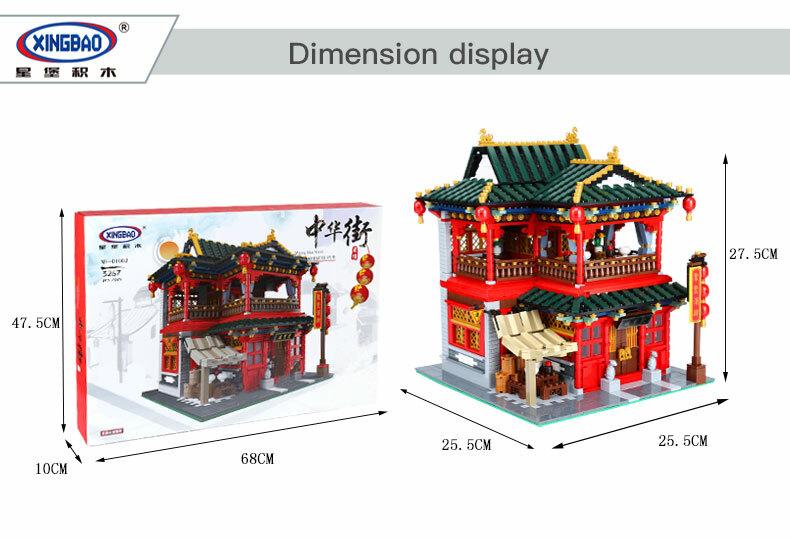 As with all of the Chinese town series, the architecture is very realistic and based on Classical Chinese design. 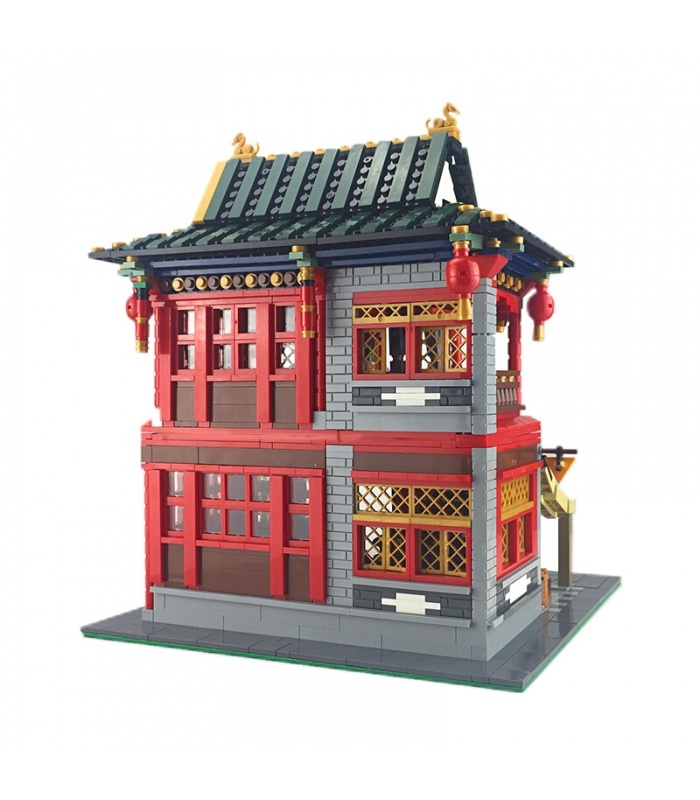 An authentic Chinese colour scheme and grey masonry brick construction makes this pub look as though it was lifted straight out of an old hutong. 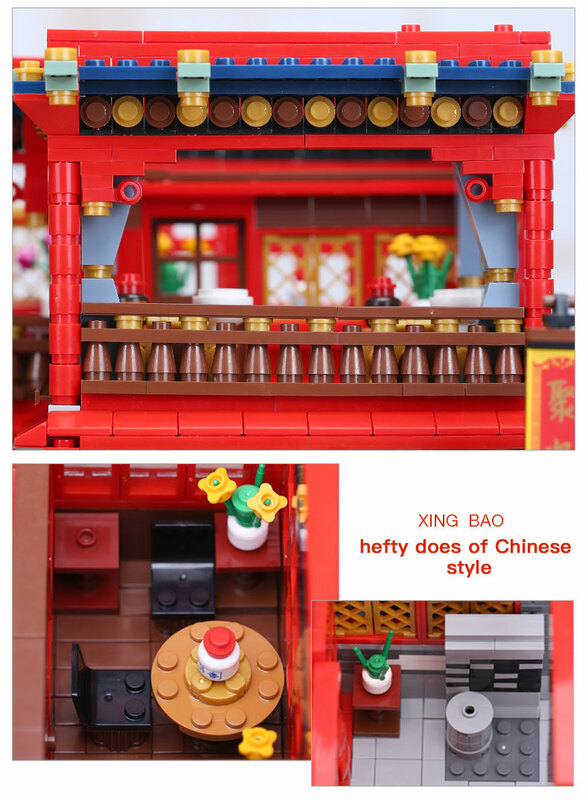 Features indoor and outdoor patio seating. 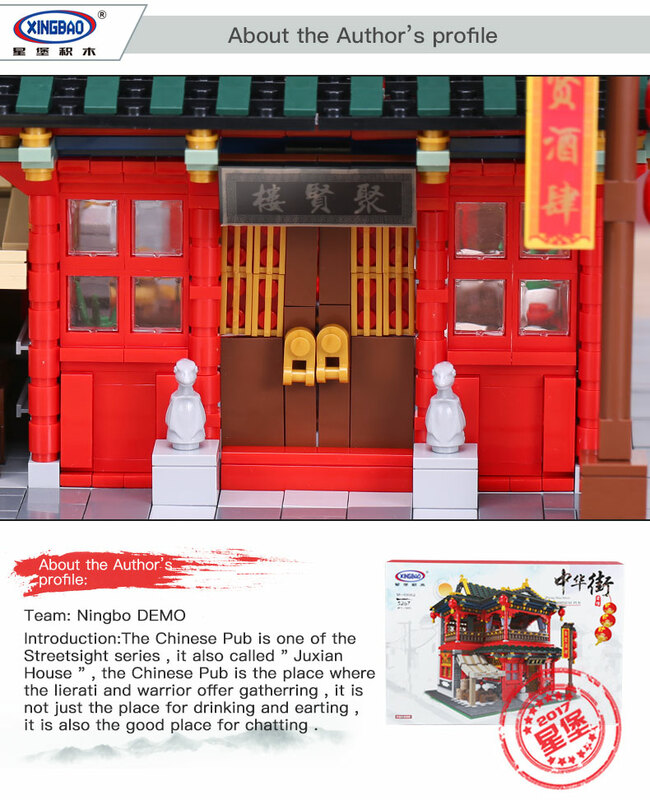 The included mini-figures will enjoy the chance to grab some dumplings and a drink whilst chatting away the night. 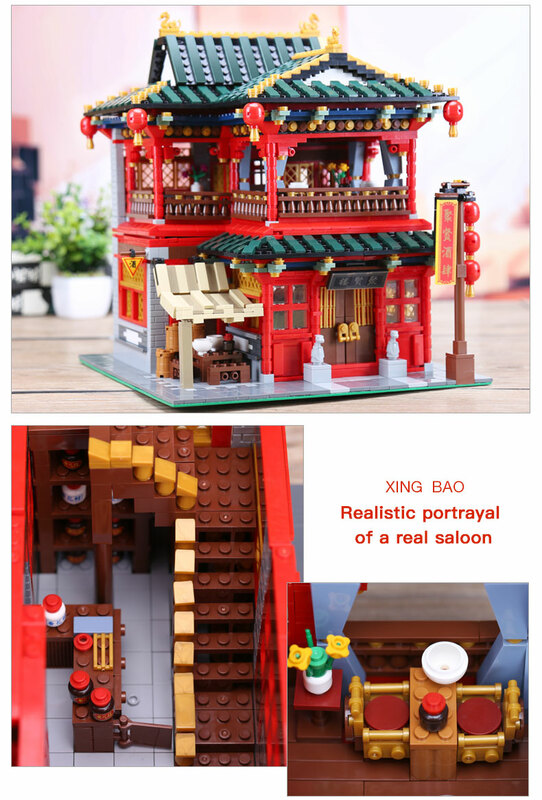 With this beautiful tavern, they will do so in style!